Gallego was born in Salamanca and an early Renaissance painter specialising in religious scenes and decoration of altars. Like many other artists he was touched by the influential style of the Flemish school, which he mixed with his Castilian tradition. 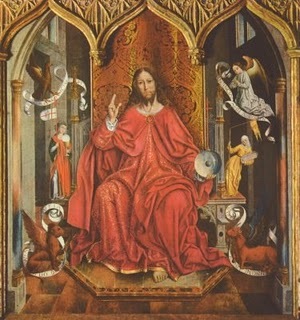 He was famous for bringing out dramatic human expression in such works as Blessing Christ, now in the Prado.